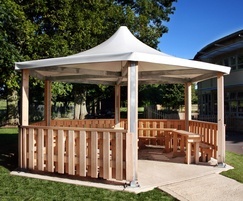 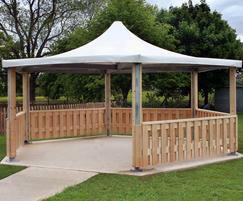 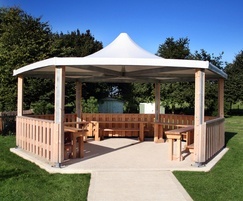 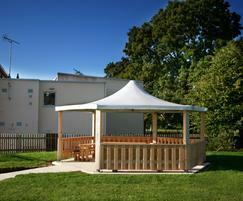 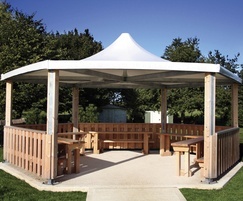 The Sheldon Hexagonal Shelter SPG311 is a more recognisable 'band stand' type external shelter, which can be used equally well for a external classroom, social or even as a smoking area. 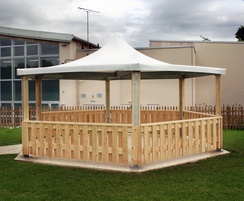 The steel framework makes up the main structure of the shelter with timber clad posts and a low level barrier enclosing the shelter around 5 sides. 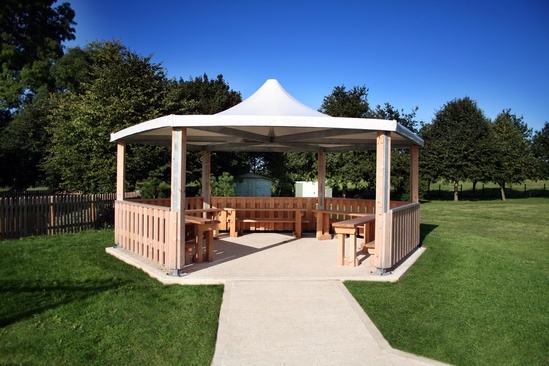 The canopy is manufactured from stretched weather proof fabric that is available in a selection of colours to match the existing project scheme or help it blend into the landscape. 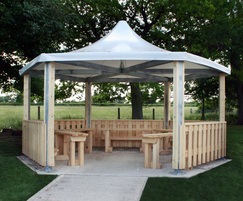 The Shelter is available in two sizes (5000mm or 6000mm widths) depending on the area or amount of users that need accommodating.